RECENT PROJECTS - WATTS PROJECTS INC.
​The Modern Route Gas Plant is located north of Grand Cache, Alberta. Construction began in December 2015 and was completed in March 2016. Installation and fabrication of 14,000 weld inches was done all by the Watts Projects team on time and on budget. ​Black Swan Energy's North Aitken Gas Plant is located north west of Fort St. John, British Columbia. Construction began in September of 2015 and was completed by January of 2016. Watts Projects logged 58,000 man hours throughout the job without a single LTA. The final count tallied 25,000 inches welded, fabricated at our Red Deer fabrication yard, and installed by the Watts crew. 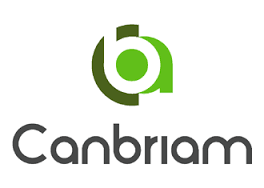 ​The Canbriam Altares Gas Plant is a sweet gas plant located west of Fort St. John, British Columbia. Watts Projects employees logged nearly 150,000 man hours in the construction process without a LTA. Combining Phase 1 and Phase 2 there were 60,000 weld inches, fabricated at our Red Deer fabrication yard, and installed by the Watts crew.